Grethe Meyer lived from 1918-2008, and was a pioneer woman, working in a highly male dominated field in a time when some still thought of women as mediocre. The stories say that Grethe Meyer always had firm beliefs and was never afraid to express them. Her work was very systematic and thorough; she analysed details like people’s eating habits or space limitations in their homes, and used her knowledge to create products that were not only beautiful, but also highly usable and practical. In 1960 she founded her own architectural firm and focused her attention on everyday products for the table and kitchen. Her work process was open and creative, and because she did not always have a clear idea of what the finished product would be, she was free to look at all the details – shapes, materials and colors – over and over and over again, and then once more, until she was convinced this was the right way. Her designs always had quality, personality and respect for the user. The Moon and Eye vases were designed by Grethe Meyer in 1986. Fritz Hansen is launching them for the first time in 2019 as an elegant and complementary ensemble. A rather exceptional level of technical skill is required for their manufacture: they are made of glass, mouth-blown in a mold, to give them their crescent moon and eye shape, two iconic and organic symbols. 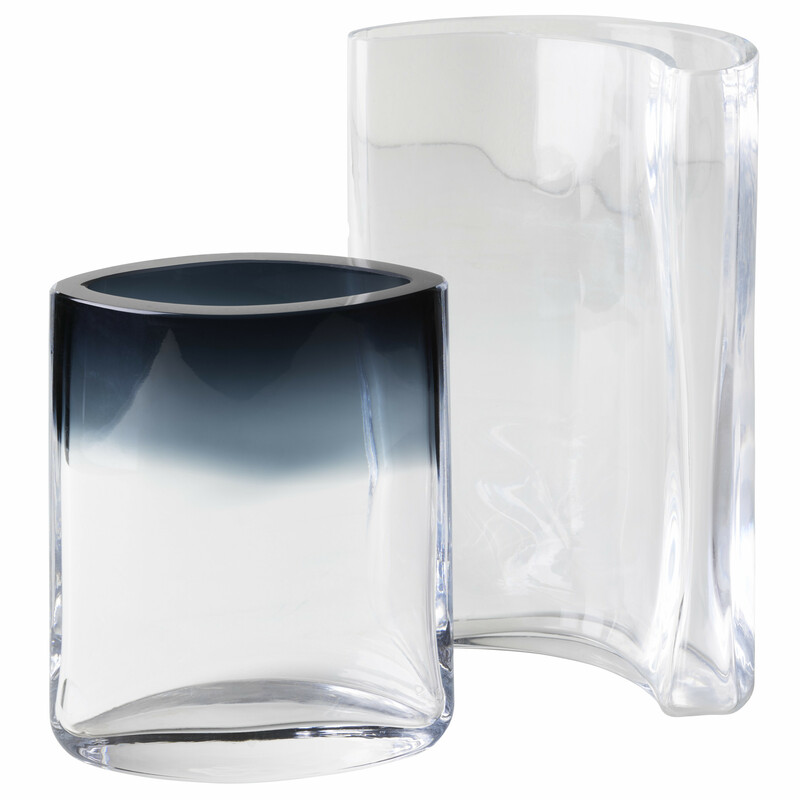 Both are transparent, but the Eye vase has a smoked glass part on its top.